I was born on November 28, 1948 and in that same year my family moved to Madrid, Spain. I lived in Spain, in Madrid and Mallorca until the passing of my mother in 1954, at which time we moved to Puerto Rico. 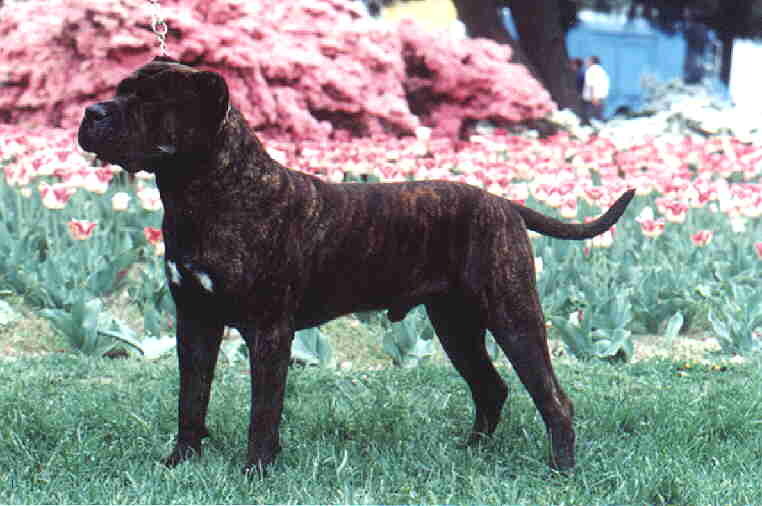 I was only a young child the first time I saw a Presa Canario at the Park El Retiro in Madrid. I asked my father „what kind of dog is this?”. He explained to me that it was a dog coming from the Canary Islands that was used as a guard dog. In 1967, I returned to Spain to study medicine at Cadiz. Cadiz is located in the southern part of the country and twice weekly a Ferry came from the Canary Islands, often caring Perros de Presa. I always dreamed, back then, that someday I would own one of these magnificent dogs. But the life of a young resident did not allow for such luxury at that time. And after many years of my own successful practice in Puerto Rico and raising a family of my own, I was finally able to realize that dream in 1992. 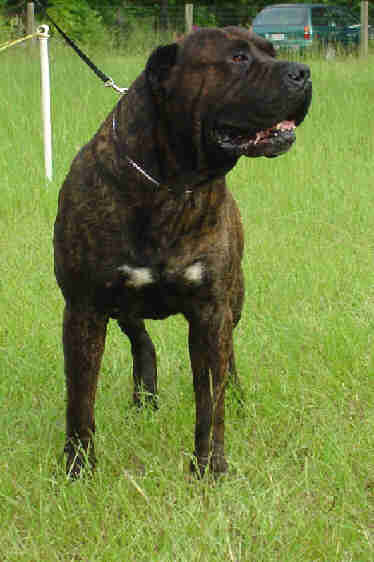 In this year I purchased my first Presa Canario, Grand CH Greco. But having just one would not be enough. I was determined to launch a successful breeding program in the United States and Puerto Rico. To acquire the best stock, I knew that I would have to return to the source of the dogs, Spain and it’s Canary Islands. In 1994, I flew with my family over to the Canary Islands to look for good specimens of the breed. I returned from that trip with one adult female, CH Mirka, and a pair of puppies out of Enzo X Bonnie, brd by Matias Marrero. In 1996, I returned to Spain with Luis Ortiz in hopes of acquiring a good young male to add to our program. While visiting in a small rural town just north of Madrid, we were lucky enough to find and purchase CH Jazz. With the acquisition of CH Jazz our kennel had a complete turn around. This impact that this dog had on the breed was tremendous all over the United States. 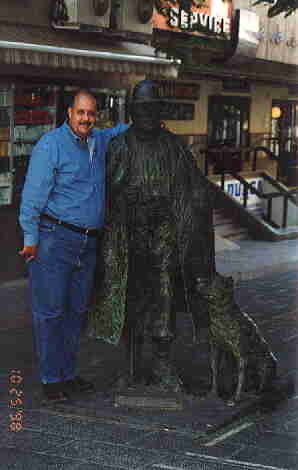 In October of 1998, Luis and I again returned to the Canary Islands to attend the Monographica del Presa Canario on Tenerife. On this trip we were fortunate to purchase an excellent young Spanish male by the name of Tagore. In 1999, we made several trips back to Spain and purchased such dogs as CH Asia, CH Hercules, CH Amarca, Aruba and Afur. For the last 7 years we have been making one or more trips to Spain and the Canary Islands and attending the Monographica del Presa Canario to view the new litters and bloodlines available. We have been selecting new dogs to enrich our genetic pool. Our dogs are carefully chosen with the help of Luis and Carmen Ortiz,without whom our program would not be what it is today. Their great dog knowledge and excellent handling skills have made our dogs the #1 Presa Canarios in the United states for 96, 97, 98, 99 and 00 to date. We owe them deeply for their experience, their management skills, their dedication and their friendship. Jazz is our premier male. His ring accomplishments surpass those of any other Presa Canario. He has earned champion titles from 11 different organizations including FCPR, ARBA, PCCA, CKC, IABKA, WWKC and SKC. He is temperament tested with pronounced courage. He is health screened and cleared by the Orthopedic Foundation for Animals with good hips and normal elbows and patellas. He has been cleared of eye disease by the Canine Eye Registry Foundation. 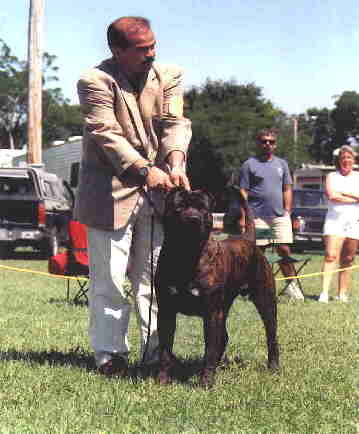 He was the number one Presa Canario for 96, 97 and 98. 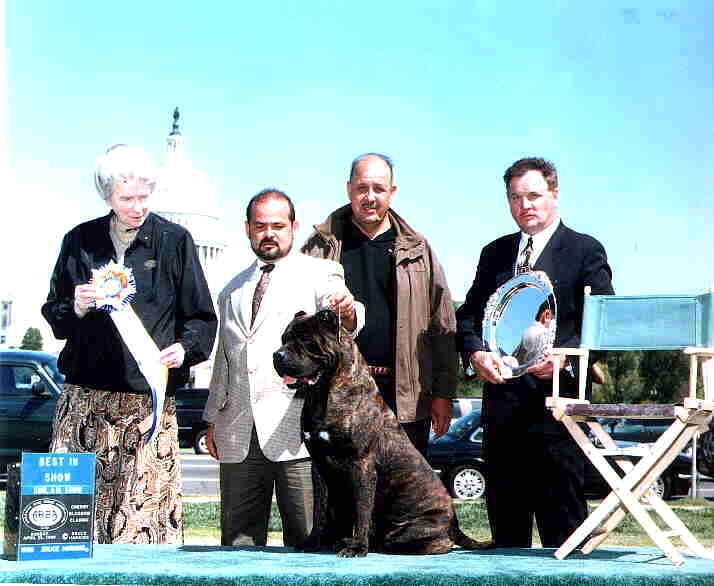 In 1997 he became the first Presa Canario to be the #1 working dog in ARBA, and in 1998 became the first Presa Canario to earn the top points in ARBA all breeds. He was retired from showing in September 1998, but was taken out for one last victory at the 1999 Cherry Blossom Classic. Jazz went Best in Show with an entry of over 400 dogs. 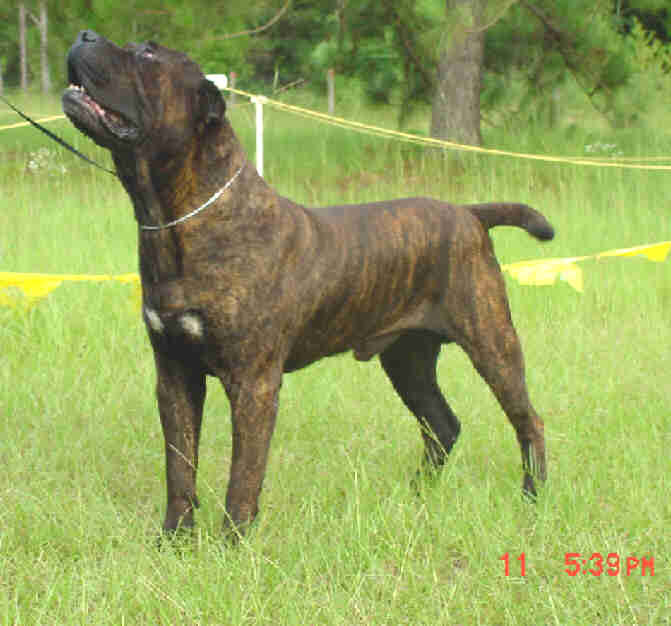 He has over 60 BIS wins in his 23 month career, more than any other Presa Canario in breed history.